At Universal we know that in today's fast-paced world, anything that you can do to save some time is immensely valuable. We're proud to do our part in helping you save time by offering our full-service team packages complete with design, on-site sizing, decoration, personalization, and packaging. Anyone who's ever coached a youth team knows what a headache it can be handing out the custom uniforms, jackets, and other sportswear that the team has ordered. Somebody grabs the wrong size and suddenly the orderly system you had envisioned turns into chaos. At Universal, we can prevent this nightmare for you by carefully separating the products out into individual orders before they ever reach the field. 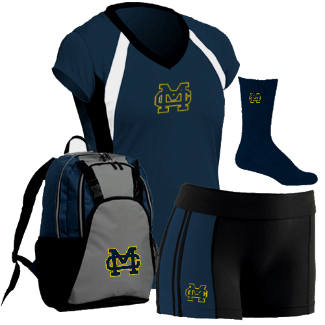 Our team packages are a full-service solution for all of your team apparel needs. We'll help you select products, develop a design, and collect orders then decorate your products, personalize them as-needed, and then sort package them into convenient individualized bundles for each player. No more unhappy players and parents because the shirt they ordered was taken by another player, and no more boxes full of unwanted leftovers. We can even bring samples to your practice for your players to try on to ensure they get the correct size.